What do Batman, Green Arrow, Aquaman, and The Flash have in common? They all have young sidekicks who are looking to step out of the shadows of their respective mentors and make a name of their own. So when they are invited to become full members of the Justice League, they jump at the chance. But becoming full members isn’t exactly what they expected. It seems that they are members in name only and are merely allowed into the Hall of Justice, which is really just a front for the general public. Speedy immediately takes offence to the second-class treatment and leaves the group, leaving Robin, Kid Flash, and Aqualad to fend for themselves. Disobeying orders from the Justice League, the three check out an explosion at a genetics lab only to discover that a secret program titled Project Kr is really an unauthorized Superman cloning project, which will ultimately lead to their newest member, Superboy. The DVD contains four episodes: “Independence Day,” “Fireworks,” “Welcome to Happy Harbor,” “Drop Zone.” These four episodes deal with the introduction of the new team to one another up to the point where they learn what their individual roles are within the team. The quality of the storylines and the less comical nature of the overall show make it a closer resemblance to The Justice League television show that aired from 2001 to 2006 and less like the Teen Titans series that ran afterwards on the same network. Some of the more interesting aspects of Young Justice are the relationships between the characters. The fact that Robin isn’t the leader and must learn how to work with a group as opposed to his partnership with Batman, and Superman’s confusion of how he should treat Superboy who is a younger version of himself but at the same time something that was forced upon him puts some real emotions and feelings into the story lines. 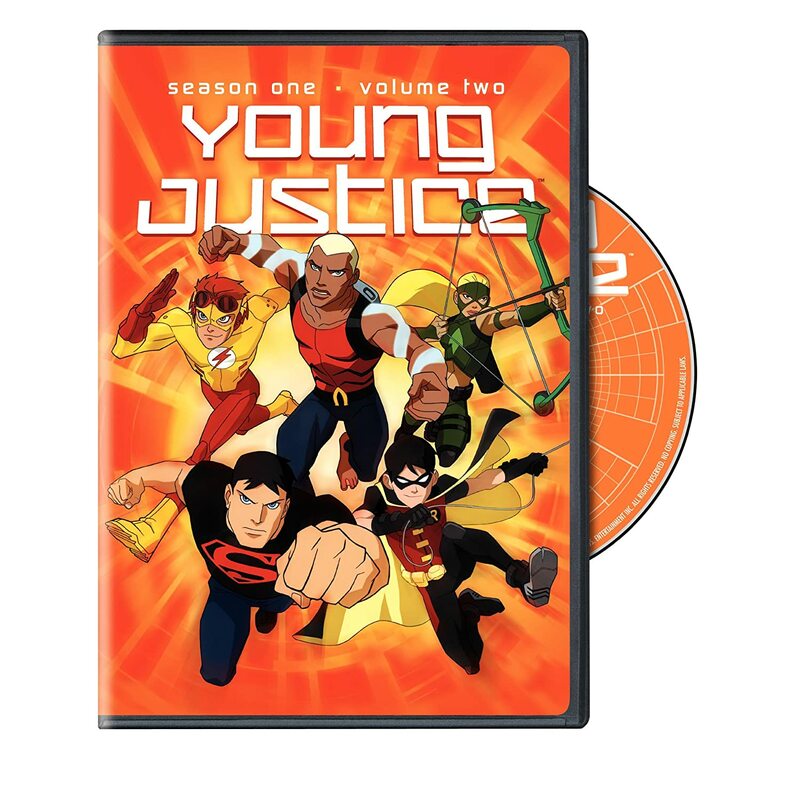 While Young Justice is as good as any other superhero TV series that has been released to date, the DVD itself is quite disappointing. The release is sparse with absolutely no special features. Nine episodes have aired, but only four are on this DVD edition. This alone has led to many fans of the show to vent their frustration on the Internet because they prefer full seasons to be released instead. Love the concept here Todd, but totally agree that four episodes with no extra features makes for a paltry DVD series offering. Maybe they figure parents will throw it on for kids, or the mere hint of superheros will send sales zooming?